Home / Community Programs / Puppy Overload? Spring is breeding season and puppies are soon to follow. Unfortunately, most will be from unplanned litters – the primary cause of pet overpopulation. 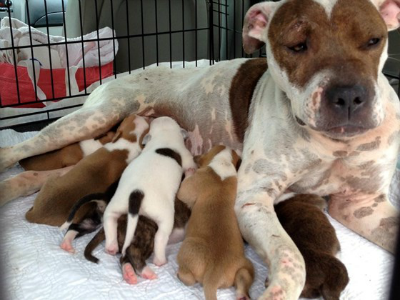 Fix your critters – end the litters! But what happens when you already have a female dog that is pregnant or has an unplanned litter of puppies? Maybe WAG can help. WAG’s Puppy Prevention Program works with pet owners of mother dogs with litters by vaccinating the babies to keep them healthy, spay/neuter them when old enough, then adopt them into qualified homes. We then spay the mother dog to prevent further litters, all at no cost to the owner. It’s all part of our goal to end pet overpopulation in our area. Started in 2014, the Puppy Prevention Program has helped local pet owners find loving families for hundreds of puppies and spayed the mother dogs for free. We’re grateful to these owners for working with WAG – together we’re making a difference by reducing the number of animals born each year! Or email us for more information at wagwalton@yahoo.com.